There have recently been a number of reports suggesting that research has identified the key qualities and methods behind effective teaching. Though I’m wary of making an iron-clad list, and I’m certainly wary about defining the word “effective” (see New Study Suggests That Teacher Observations Should Focus More On Teacher Inputs, Less On Student Outcomes), I still thought it would be useful to make a compilation of links to the ones I think are most useful. Tom Sherrington shares his own list, along with links to other reports I haven’t already mentioned. You’ve Heard Of “Deeper Learning”? How About “Deeper Teaching”? What is Worth Reading for Teachers Interested in Research? is a great collection put together by Robert Coe. Dylan Wiliam: The nine things every teacher should know is from TES. 20 Observable Characteristics Of Effective Teaching is from Teach Thought. Top 10 Evidence Based Teaching Strategies is from the Australian Society for Evidence Based Teaching (formerly Pinnacle). How To Ensure Students Are Actively Engaged and Not Just Compliant is from MindShift. 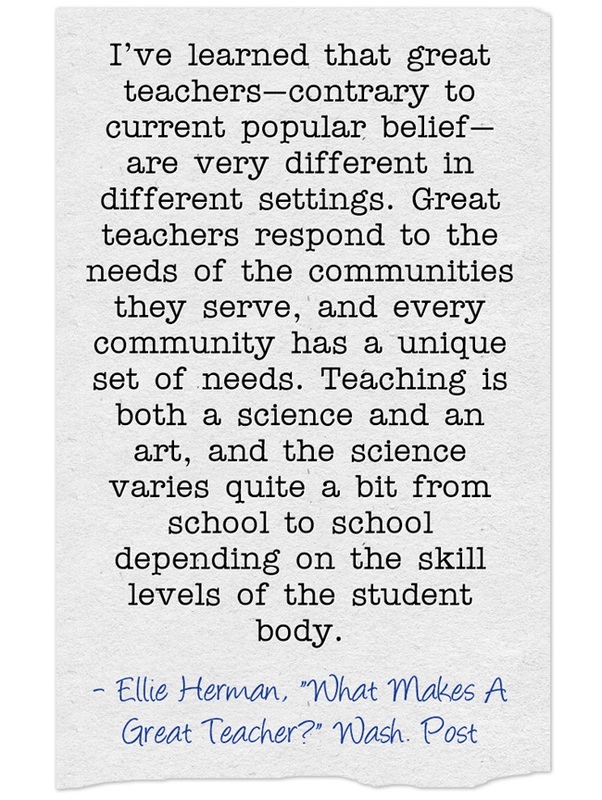 What makes expert teachers? is by Harry Fletcher-Wood. Exploring Barak Rosenshine’s seminal Principles of Instruction: Why it is THE must-read for all teachers. is from TeacherHead.